Frost on an oak leaf. Is it my imagination, or are those crystals hollow? Very cool and well done. It must take a lot of patience to work with that lens! Great close up of frost and the leaf. The ice crystals do appear hollow. very nice image. 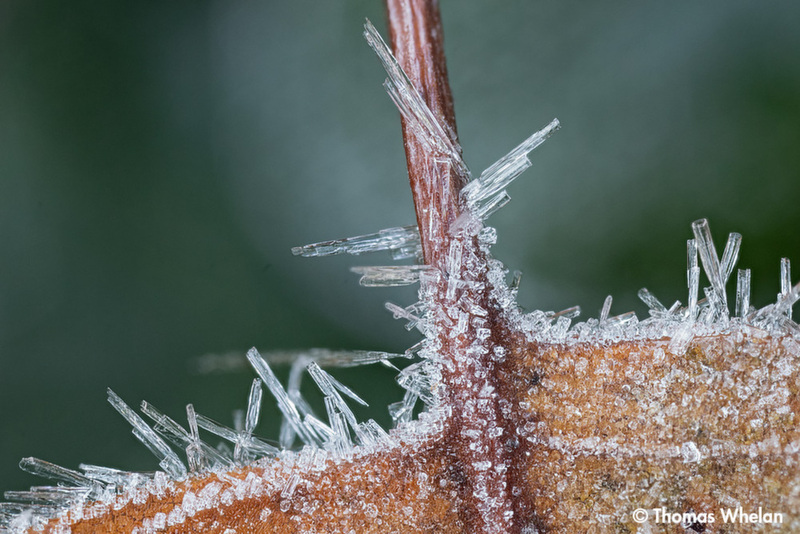 The crystals are a mixture of hexagonal (hollow) pipes and solid needles - two of the many forms that ice crystals can take, along with hexagonally-edged plates, fern-like shapes, and snowflake-like shapes.